What are Lloyd’s minimum standards for claims management? This article is part of a series of informative blog posts about the Lloyd’s minimum standards for claims management. Lloyd’s has an established claims journey which has been refined over many years, all the way from its beginnings in Edward Lloyd’s coffee shop and through the San Francisco earthquake of 1906, to the present day. This means that the claims process and standards that have been employed keep Lloyd’s as a leading light in claims management. ‘The True Cost’ film – a review of the documentary about who’s paying the ultimate price for our clothing. The documentary by Andrew Morgan is a harrowing account of how globalisation is failing when it comes to the fast fashion business. Its purpose is to raise awareness of what scenes can lay hidden behind the glitz and glamour of a fast fashion driven world. It wants every person to feel compelled to take responsibility in choosing to buy and trade ethically, they want us to think about the clothes we wear, the people who make them and the impact it has on our world. STATED FACT: The USA alone used to produce 95% of its own clothing in the 1960’s, today it’s only 3% as everything is now outsourced to developing countries. 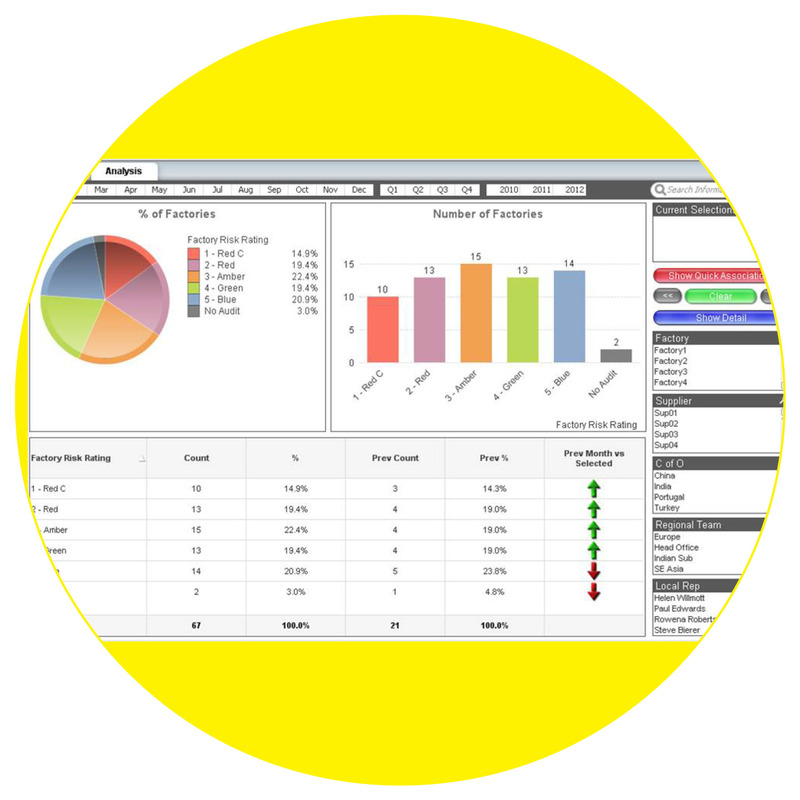 What are the key features of a ‘top-notch’ supply chain dashboard? In this digital age where terms such as ‘Big Data’ and ‘The Internet of Things’ are banded about, it’s easy to get overwhelmed and find it difficult to ‘see the wood for the trees’ so to speak. With all this data now available to us, how can you harness it and use it to your advantage so that you can make more informed business decisions? 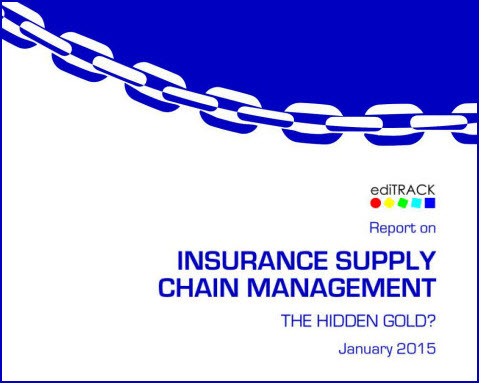 Welcome to the third and final part of our blog which covers the results found in our recent insurance supply chain survey. Our full report is 25 pages long so we’ve decided to share our findings and insights in three separate digestible chunks. Part three: The moment of Truth – Claims Perfection or Resolution? The experience of the claimant is the ‘moment of truth’ for the insurer and third party suppliers are often the only direct contact for the claimant, or have the most concentrated dealings. Most often, claimants are unfamiliar with the process, especially if it’s their first claim. They do still however expect a high level of service similar to ones they experience with more familiar consumer services such as Amazon, Sainsbury’s online or even British Gas Homecare. They will want to be guided through the process and have status updates pushed to them or easily accessible. Welcome to the second of our three part blog which covers the results found in our recent insurance supply chain survey. Our full report is 25 pages long so we’ve decided to share our findings and insights in three separate digestible chunks. John Lewis is the UK’s largest department store retailer with a total of 43 stores across the country. Each of its 90,000 permanent staff is a partner in the business which operates in an open, fair and transparent way. Its ethos is to operate with integrity and to build customer relationships based on honesty and respect. 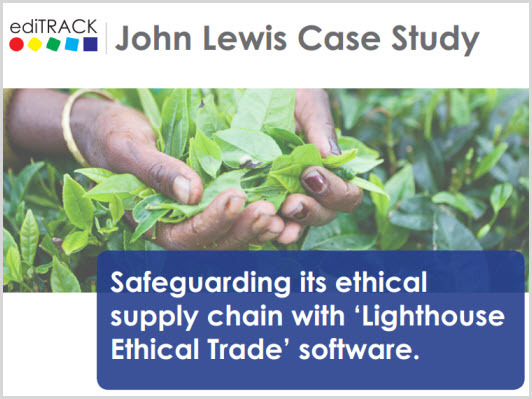 These same principles underpin a commitment to monitor its supply chain practices to ensure it sources and trades in an ethical way that contributes to the wellbeing of the communities where it operates. John Lewis sells over 350,000 product lines across 50 different product categories sourced from more than 50 countries and as a socially responsible retailer the subject of working conditions is one that it takes very seriously and expects its suppliers not only to obey the law, but also to respect the rights, interests and well-being of their employees, their communities and the environment.